GRAND PRIZE – $3,000 Educational Scholarship Presented by Orbit Energy & Power – Tickets to the Franklin Institute, Sahara Sams Oasis & Much More! 2ND PLACE PRIZE – $2,000 Educational Scholarship Presented by Orbit Energy & Power – Tickets to the Franklin Institute & Much More! 3RD PLACE PRIZE – $1,000 Educational Scholarship Presented by Orbit Energy & Power – Tickets to Sahara Sams Oasis & Much More! *By submitting your email address you are agreeing to receive updates and information in relation to the 2019 Sun Newspaper Science Fair. All applicants must be between the ages of 10-12. All entries must be submitted by 5pm on Monday, May 20th, 2019. 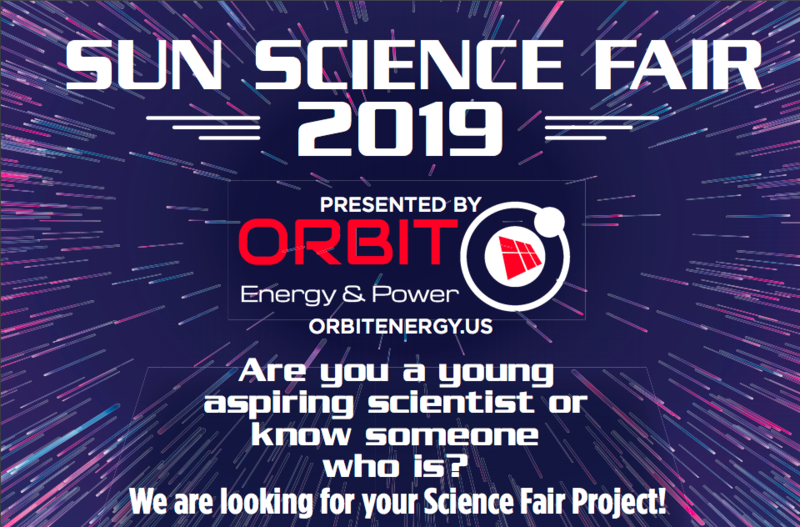 The Top 10 Finalists will be notified Thursday, May 23rd, 2019 and will be invited to attend and display their science projects on Saturday, June 1st, 2019 at Orbit Energy & Power’s Grand Opening celebration. Winners will be announced at the celebration and must be present to win. Prize cannot be exchanged, transferred or redeemed for cash, in whole or in part. No purchase necessary. Newspaper Media Group and their affiliates accept no responsibility or liability in connection with any loss or accident incurred in connection with the project or use of the prize. All federal and local taxes are the responsibility of the winner. Void where prohibited by law. Newspaper Media Group and participating sponsor employees and family members are not eligible to win.